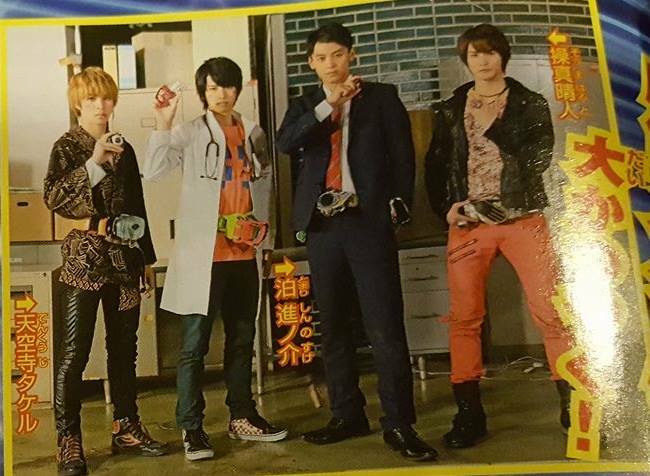 This month's issue of Terebi Magazine has featured our first look at Kamen Rider EX-Aid's movie exclusive form that we will be seeing in the upcoming Kamen Rider Heisei Generations movie! Yes folks, this little number will be called Kamen Rider EX-Aid Ghost Gamer. 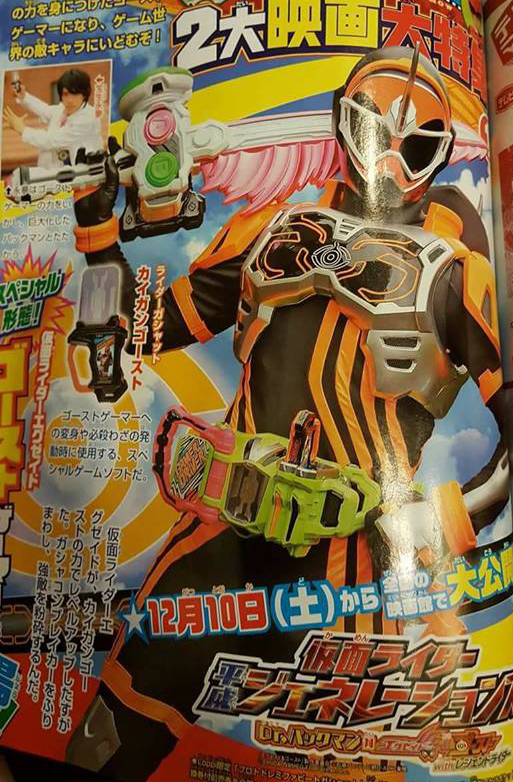 In this form, EX-Aid's suit trimming color will be changed into orange (Ghost colors) and will lose the spiky hair on his helmet and will have a Ghost styled visor. And as confirmed recently, Ryoma Takeuchi and Shunya Shiraishi, with the exception of Gaku Sano (Kamen Rider Gaim) will reprise their roles as Kamen Rider Drive and Kamen Rider Wizard! Kamen Rider Heisei Generations: Dr. Pac-Man VS EX-Aid & Ghost with Legend Riders will premiere in Japanese cinemas this December 10, 2016.
also worth noting that kaigan ghost will not be released as a seaparate gashat but will be released with the super exaid box set of all kamen rider : rider revolution. whats with the limited availability on certain gashats first proto MAX now kaigan ghost. Yeah Pacman vs Ghost Gamer. Seems legit.